Oh, how I missed spanakopita! I grew up in Bulgaria and spanakopita, or as we call it,"banitza", was part of our everyday cuisine. Here, in the States , it is mostly popular in its Greek version, which is simply put a spinach pie with feta cheese in phyllo dough. In Bulgaria,the making of this traditional pie, includes a lot of eggs, feta cheese and butter. You can also add other fillings like greens, leeks, onions, sauerkraut , etc. 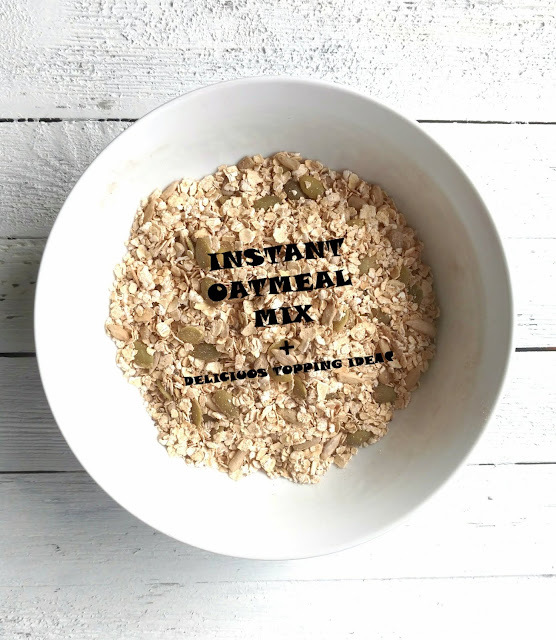 It's delicious and it is a great anytime food. I had to find a way to bring it back into my plant-based world, and so the experimenting began. 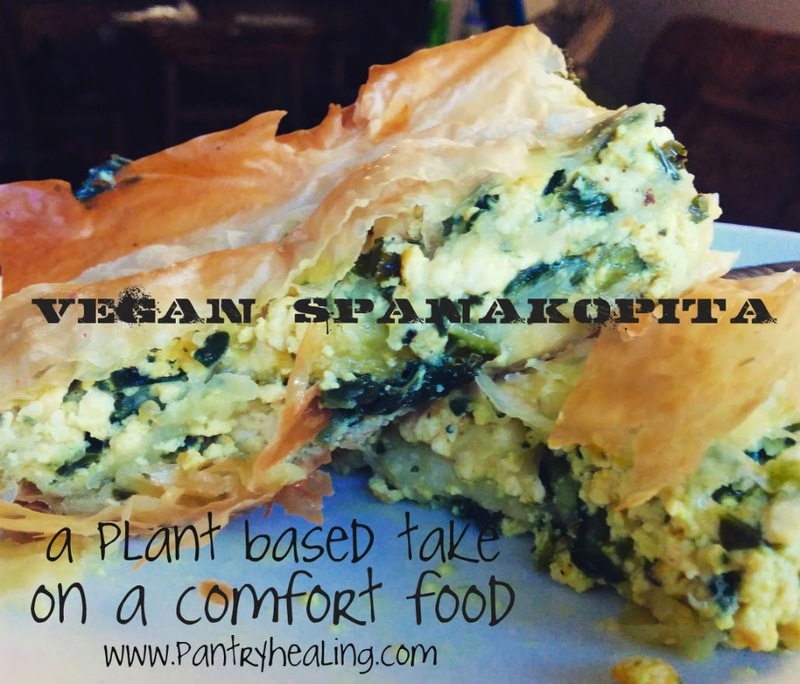 Here are the results - a delicious, vegan comfort food with all the traditional flavors of spanakopita. The first time I made this recipe ,I actually made two pies, one vegan and one traditional for the omnivores in my family. When I served myself a piece of delicious spanakopita, my husband thought I had fallen hard from the "plant-powered" wagon. He was surprised to find out he was eating a delicious vegan treat , and actually preferred it to the real thing. Needless to say,you can easily modify this recipe and make it with the flavors your whole family will enjoy, omnis and veggie lovers alike. * Phyllo dough (also spelled "filo") is thin sheets of rolled out dough,which you can find in the freezer section of your grocery store. Most brands are vegan , but it will be wise to check the label and make sure there are no eggs or milk in the ingredients list.There are two packages of dough per box. This recipe requires only one, the second one can be left frozen , or will keep in the fridge for about a week. **When purchasing tofu, I always recommend that you choose an organic, non - GMO, brand. Tofu is very affordable and it is present in all grocery stores. Different brands have different consistency. Use any brand you like. Personally, I really like Wildwood Organic. It has a firmer, drier texture, which really resembles feta cheese, and all their products are made with sprouted soybeans, which makes them more easily digestible. *** Have this in mind, when you purchase silken tofu: the little packs that you find in your Asian food isle, and don't need refrigeration, are only 12 oz. If you purchase silken tofu from the refrigerated section of your store, it is normally between 14 oz and 16 oz, so you will need to use less, or your spanakopita will have more of a quiche consistency. Melt vegan butter or coconut oil. Brush some oil on the bottom of a 9 x 13 in pan.Set aside. In a large bowl, mash the silken tofu, using a fork, until you reach scrambled eggs consistency. Add turmeric, salt, black pepper,and nutritional yeast ( if using).Stir well. Crumble the firm tofu in this mixture. We don't want any large chunks but we also don't want it mashed. We are aiming to achieve the texture of feta. Saute greens in a tablespoon of oil and add to the tofu mixture. Open the package of phyllo dough and roll the sheets out into their natural rectangular shape. The sheets should be pliable and easy to separate from each other. Place 3-4 phyllo dough sheets on the bottom of the pan. Brush the top sheet with some of the melted oil and spoon some of the mixture on top. Keep layering the dough sheets and the tofu mixture until you run out of product, ending with a top layer of phyllo dough. Cut the unbaked spanakopita in squares and brush the top with the remaining oil. Bake for 30-40 minutes,or until golden brown an flaky on top. When you take the pie out of the oven, cover it with a kitchen towel and let it rest for about 30 minutes. I do not recommend covering it with foil,because we don't want any condensation forming and dripping back on top of the pie. It is important to let your spanakopita cool down a bit. This will set the filling and let it firm up. The pie is best eaten warm, but I would not turn it down the next day,straight out of the fridge. It is that good! If you feel brave enough,after you make this a couple of times,you can experiment with a variety of fillings. In early spring,I enjoyed this pie made with fresh young nettles and leeks. Changing the greens alone will give you subtle changes in flavor. So,let the experimenting begin! Share your thoughts, yummy discoveries and other traditional favorites you've re-discovered on you plant based path!